The relevant grant for a stair lift is called the Disabled Facilities Grant. The scheme operates in England, Wales and Northern Ireland. A separate scheme operates in Scotland which is outlined below. The grant is awarded by councils – a comprehensive application list by council is provided in this document. In practice there are generally two main hurdles to obtain a grant. The first is a visit from an occupational therapist to confirm a lift is required. The second is means testing, which applies unless the lift is for a child. In essence, using the criteria detailed further below, the council will determine whether the applicant can fund a stair lift themselves or not. Grants can take up to six months to be approved. These are funds allocated by councils for disabled people to change their homes including the installation of stair lifts. The grants do not affect benefits. Either the applicant or someone living at the property is disabled. Either the applicant or the person they are applying for owns the property or is a tenant. There is an intention to stay at the property for at least five years (repayment of a grant may be required if this condition is not satisfied and, in certain cases, if the recipient moves out before ten years elapses). A landlord may apply for a disabled tenant. The applicant is responsible for planning permission or building regulations approval. Note that stair lifts are generally much cheaper than this maximum which is set in respect of more expensive building work. A grant may be rejected if work is started before the council has approved it. Contact your local council. A list of application details by council is shown at the end of this document. The appropriate council departments are normally housing or environmental Health. The council will then usually put in place the visit from the Occupational Therapist and, if the Therapist deems the work necessary, means testing. The council will routinely require two written estimates from suppliers. Some councils maintain lists of suppliers. You may wait up to six months for a decision. You may appeal if the application is not successful. If you are not satisfied with the application procedure provided by your local council you may register your complaint with the local authority’s monitoring officer. Alternatively you may wish to contact the Local Government Ombudsman for applicants in England – their telephone number is 0845 602 1983. In Scotland, under The Housing (Scotland) Act 2006, local authorities are allowed to provide grants, loans, subsidised loans, practical assistance and information or advice to home owners for repairs, improvements, adaptations and the acquisition or sale of a house. Structural adaptations to a house which are essential to a disabled person’s needs. Providing standard amenities intended to meet the needs of a disabled person – such as a fixed bath or shower, wash-hand basin or sink or a toilet. The grant will be 100% of approved costs if the you or a member of your household gets income support, income-based jobseeker’s allowance, the guarantee credit of pension credit or income-related employment and support allowance. In other cases the grant will be 80%. For work which has been your responsibility under your tenancy for a period of two years before your application. For adaptations to a disabled person’s house to make it suitable for their accommodation, welfare or employment, or for the reinstatement of any house adapted. If you’re unable to obtain a Disabled Facilities Grant from your local authority, it is worth exploring other funding options such as charitable grants, equity release or property repair loans. Margaretsfund.org offers financial aid to women in ill health and in need. Grants must be applied for by a Caring Professional, not individuals. Ssafa.org.uk The Soldiers, Sailors, Airmen and Families Association has funds available to support existing and former members of the armed forces. Disabled Facilities Grants are mandatory for certain essential adaptations to give better freedom of movement into and around the home and to have access to essential facilities. The disabled facilities grant is means tested for adults. However, adaptations for children are not. If you have a disability or if you have a disabled child, it may help to have an adaptation to your home. If you need a major adaptation to your home you may be able to get a Disabled Facilities Grant (sometimes just called a DFG) to help meet the cost. Making changes to the properties of people with disabilities, that are needed to improve their quality of life and enable them to continue living at home. Disabled Facilities Grants may be available to disabled people who need essential adaptation work carried out to give them greater freedom of movement in and around their home. The maximum grant available is £30,000 subject to a means test. Anyone who is registered or eligible for registration as a disabled person can apply for a grant, whether you own your own property or are a tenant of a housing association or a private landlord. For general advice on services available or information on reliable contractors, specialist providers and other organisations who may be able to help, please get in touch. You can call us on 0121 303 6330 or email us at independentliving@birmingham.gov.uk. A Disabled Facilities Grant (DFG) is used to adapt a property to enable a disabled person to live more independently in their own home. A Disabled Facilities Grant helps towards the cost of adapting your home to help you to be more independent or your carer manage more easily. This may be getting about your home, doing everyday tasks such as bathing, going up and down stairs, or getting in and out of the house. If you are disabled you may need home improvements to make it easier for you to move about and use your home, and stay independent. As you get older so does your home! To protect your own health and comfort you need to maintain your home in a reasonable condition, with adequate heating and hot water systems and make adaptations to meet your changing physical needs. Disabled facilities grants assist in enabling those with a disability to live independently in their own home. The grant is to a maximum of £30,000. Disabled Facilities Grants. A Disabled Facilities Grant is given to help towards the cost of adapting your home to enable you to continue to live there. A grant is paid when we consider that changes are necessary to meet your needs, and that the work is reasonable and practical. Disabled Facilities Grants are available to modify a dwelling to restore independent living or to make it possible or easier for a carer to look after another person. If you or someone living in your property is disabled, you may qualify for a Disabled Facilities Grant towards the cost of adapting your home. Disabled Facilities Grants (DFGs) are provided in accordance with the Housing Grants, Construction and Regeneration Act 1996 (as amended). Disabled Facilities Grants help people with certain disabilities to adapt their homes in order to enable them to continue to live safely and comfortably. Disabled Facilities Grants are available to give disabled persons better access into and around their home, and access to essential facilities within it. Disabled Facilities Grants (DFGs) are mandatory for certain works and are available to any person, who is registered or registerable, as disabled, under the Chronically Sick and Disabled Act 1970 and who requires adaptations or alterations to be provided. If you believe you may need an adaptation in your home you will need to contact Call Derbyshire on 08456 058 058 to arrange an assessment of your needs. You can view the process the assessment will take on the How would I benefit page on this website. Stairlifts, vertical lifts and step or platform lifts are usually installed following an assessment by an Occupational Therapist and an application for a Disabled Facilities Grant. Most lifts come with a one, two or five year warranty. Following this period of warranty, the lifts are provided with free on-going maintenance and repair through our Direct Services department. Applicants for disabled facilities grants should be referred by the council’s occupational therapy service or Ealing’s NHS partners. We have a mandatory duty under the Housing (Scotland) Act 2006 to provide a minimum of 80% grant funding for disabled adaptation work. Grants are available to help the elderly, disabled and those on low incomes make adaptations or repairs to their homes. Disabled facilities grants help people who are, or could be, registered as disabled and who would otherwise be unable to live independently. Most people want to stay in their own home for as long as possible. If you are a disabled person there may be physical barriers that make it difficult for you to carry out ordinary day to day activities in your home. Disable residents in Eden are eligible for grants if they requires aids/adaptations to their property. It is also available for elderly persons who are struggling with mobility. The grant will help maintain independence in your home for as long as possible. If you are having problems getting up and down stairs, getting in and out of your home, accessing your bath or shower and generally moving around we may be able to help you by adapting your home environment. Your practitioner will be able to advise you what other money you may be entitled to and this can be added to your Personal Budget so that you can develop your support plan. This final amount is called an Individual Budget. A mandatory Disabled Facilities Grant of up to £30,000 is available to provide suitable adaptations for owner-occupiers and tenants to enable them to stay in their homes and improve living conditions. The grant is means tested unless for a disabled child. The Borough Council’s programme for the promotion of home repair and adaptation is set out in our Housing Renewal Policy. A full copy (43 pages) of the current version can be downloaded by clicking here. 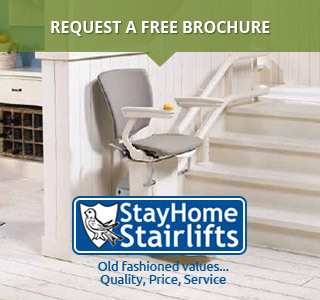 Although a stairlift is a major piece of equipment, it will not always require structural adaptations to your property. You can apply for a grant, if you or a member of your family who lives with you are disabled, a resident of Hounslow, and either an owner-occupier or a private tenant. If you have a disability and need facilities or adaptations to your home, you may be eligible for a disabled facilities grant. Adaptations for your current home. This is for adults and/or children who require essential adaptations to make it easier to manage in their home and keep their independence. If you, or a person living with you, is disabled you may qualify for a mandatory Disabled Facilities Grant (DFG) to adapt your property to enable the disabled person to live as independently as possible. Disabled facilities grants are available for a range of works to enable disabled people to live independently in their own home. ACCESS Liverpool, a partnership between the council and registered social landlords in Liverpool, provide properties that have been specifically designed or built for disabled people. Your first step is to contact the Adult Social Care Referral Management Team on 01582 54 76 60. For a disabled child under the age of 18, you should contact the Children’s Initial Assessment Team on 01582 54 76 53 and request an assessment by an Occupational Therapist. Type of works covered: Stair lifts, graded floor showers (wet room), ramps, hard standings, door entry systems. Disabled facilities grants (DFGs) can be requested to help meet the cost of providing facilities and adaptations enabling people with disabilities to access their home and the facilities within it. DFGs are available to private tenants and people who own their own home. A Disabled Facilities Grant is used to provide for the special needs of disabled people – installing stair lifts, level access showers and other alterations to help those with disabilities enjoy easier access and mobility around their homes. Adaptations are structural changes to your property to make it easier for you to move about and use your home, and stay independent. An adaptation could be something like replacing steps with a ramp or fitting a stair lift. If you or someone living in your property is disabled you may qualify for a disabled facilities grant to help towards the cost of adapting your home so that the disabled person can live more independently. Disabled facilities grants (DFG) are available for a range of work that will help a disabled person live independently in their own homes. It helps towards the cost of adapting your home to enable you to continue to live there. A grant is paid when the council considers that changes are necessary to meet your needs, and that the work is reasonable and practical. A Disabled Facilities Grant helps towards the cost of adapting your home to enable you to continue to live there. A grant is paid when the council considers that changes are necessary to meet your needs, and that the work is reasonable and practical. Available to disabled residents to assist with the provision of adaptations, in order to ensure that they have greater access to, and use of their homes. We have a range of financial help to cover the cost of adapting your home for your needs. All except the Disabled Facilities Grant are discretionary and subject to available finance. If you or someone living in your property is disabled you may qualify for a Disabled Facilities Grant (DFG) towards the cost of providing adaptations and facilities to enable the disabled person to manage as independently as possible. The Disabled Facilities Grant is available for a range of work that will help a disabled person remain in their home. Sheffield Disabled Facilities Grants. Disabled Facilities Grant for home owners and private tenants. A Disabled Facilities Grant (DFG) can be provided to adapt the home of a disabled person to enable them to be as independent as possible. An assessment is undertaken by an Occupational Therapist from KCC Social Services to determine the person’s needs to achieve this independence. Solihull Independent Living is a not-for-profit organisation that offers people who are older, disabled or on a low income an affordable way to repair, improve or adapt their homes. The organisation provides Disabled Facilities Grants and other services on behalf of Solihull Council. When you contact us we will ask you for information about you and your needs. We may be able to give you advice and information on the phone. Sometimes, someone from the Occupational Therapy Team may need to come and see you to make sure we give you the best advice. This is called an assessment. Mandatory Disabled Facilities Grant is available for providing adaptations and facilities to enable a disabled person to remain in their own home. You will qualify for grant aid if you are either registered or registerable as disabled. If you think you may be, then you should call Social Services on 0845 345 9133 to arrange an assessment by an Occupational Therapist. Grant applications are looked after on behalf of the Council by Metropolitan Improvement Agency and assistance is available towards disabled adaptations to most types of living accommodation, including mobile homes and houseboats. Disabled Facilities Grant is available to help people living in the private sector with the cost of adapting their homes to enable them to continue living there. In partnership with Papworth Trust Home Solutions, the Private Sector Housing Team assists the Adult & Community Services Department in funding major adaptations to owner-occupied and privately rented properties to meet some of the special needs of disabled residents. We work closely with the Surrey County Council, Social Services Department, who also have responsibilities to meet the special needs of chronically sick and disabled people. In most cases an occupational therapist will assess the needs of the client and confirm that the works are “necessary and appropriate”. The person who applies for the grant does not have to be the disabled person who needs the adaptations, but whoever applies for the grant must produce a certificate of ownership or tenancy. Disabled facilities grants are available for adapting dwellings to meet the needs of people with disabilities to enable them to live more independently in their own homes. Kent Local Authority officers who administer disabled facilities grants, have agreed that under section 23 (1) of the Housing Grants, Construction and Regeneration Act 1996, the following adaptation works can generally be considered for mandatory grant, but only where the Local Authority consider them to be “necessary and appropriate” for the needs of the disabled person and it is reasonable and practicable to carry out the work in the disabled person’s home. Disabled Facilities Grants are available to fund adaptations to your home following assessment by an Occupational Therapist. We would advise that you obtain your assessment from Surrey County Council This link will open in a new window (This link will open in a new window). Works typically include installing stair-lifts, bathroom adaptations, ramps and grab rails in the home. The Disabled Facilities Grant scheme provides financial assistance towards the cost of adaptation work needed to make a home fit for a disabled person. Disabled facilities grants are available to adapt homes to enable disabled occupants to get into and around their property safely, to allow them access to suitable toilet and bathing facilities and to provide access to living and sleeping accommodation. If you or someone in your home is disabled you may qualify for help of up to £30,000 towards the cost of providing adaptations and facilities, so that you or the disabled person can continue to live in your home. If you or a person living with you is disabled, you may qualify for a Mandatory Disabled Facilities Grant (DFG) to adapt your property to enable the disabled person to live as independently as possible. Helping with the provision of facilities such as stairlifts, over bath showers, level access showers, ground floor access facilities and wheelchair adaptations. If you are disabled, we want to help you to live safely in your home. If you need to adapt your home to do this, you may be able to apply for grant aid. Remember, these grants are means tested. If you or someone living in your property is disabled you may qualify for a disabled facilities grant towards the cost of providing adaptations to enable the disabled person to continue to live there. The DFG is available to home owners, private tenants and housing association tenants, this grant will help provide adaptations in your home to enable disabled people to stay independently in their own homes. A Disabled Facilities Grant (DFG) is a grant to help people living in the private sector with the cost of adapting their homes to enable them to continue living there. This is a mandatory grant for works that have been recommended as essential and necessary by an Occupational Therapist. Grants are available to help make disabled people’s homes suitable for them to live in and to help them manage more independently.